Gambling online can be a nightmare if there are security loopholes. Many hackers are always looking for a chance to deceive online users of their money. They can also take this advantage to blackmail owners of online casinos. It is therefore essential for online casinos to secure their sites. Security is not a responsibility of one party. It requires both the owners of online casino and the gambler to take part. Owners of casinos should make sure that their site has a high level of protection. They should encrypt the data they send to users. They should make sure their website is hacker-proof. They should do regular updates of the software. Gamblers should also check for signs of security loopholes. They should use a secure password. They should check whether the site has HTTPS security features. Another step towards ensuring safe gambling online is to check legitimacy issues. 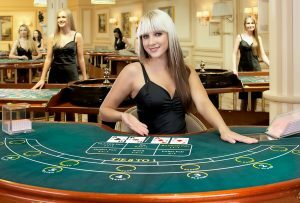 There are many online casinos which have no regulations. They are not registered to operate. Such types are the ones which con online gamblers. Before you risk your money, make sure the site is legit. You can do this by checking reviews. What do other users of the site say about it? Does the site have positive or negative reviews? Does the site have proper certification? Is there a license to prove its existence? Does it follow the law? At the end of it all, the buck stops with you. Owners of online casinos may do their best to ensure the security of their sites. But the decision is yours to make. Before you deposit your money, there are telltale signs which will show you an insecure site. Rogue sites make unbelievable offers. In summary, be on the lookout for these signs. Do not join an online gambling site before doing a security check. Also, change your password if you notice unusual activities.